a few days ago Steemit had problems again. We are checking the bids received and the upvotes given, but in the meantime please let us know if you had experienced any problems with the service and we will resolve it. I do not suspect any intentional wrongdoing by you, but it is the first time that it happened to me in over 2 months of frequent use of your bot. What happened this time that made it worse than previous times? Probably there was a problem with steemit again, I will check soon and refund if there was no upvote for your post. Sorry! Thanks for letting me know... yes there was a problem, but now it has been resolved. Have a nice day! And did not get a vote until now.Meanwhile, instead of getting 100% like it would have been had it worked, I will get less than 40%, and still counting down to 0. Now I got a 50% instead of a 100% because the other bidders that got refunded got voted on my expense. After I counter refunded, I got a 50% instead of a 100% because the other bidders that got refunded got voted on my expense. The bot is down again. I sent 0.3 SBD again, in what was about to become a 100% vote, but due to the downtime, it will be less, depending on when the bot resumes its work, and on incoming bids. I may get a 100% upvote as before, but I still deserve the 0.15 SBD refund. Thanks a lot for the update. Unfortunately the bot was down again (but we are working on it to get it back to normal operation). But because of your inconvenience I send back the 0.15 SBD (from the "owner" account). Have a nice day and thanks for being cooperative! If you followed my updates and editions of my 3 last replies to you, not including this one (the last is still unedited) you would have seen that I did deserve these 0.15, and not due to inconvenience. After my first of the 3, I got a surprise 100% vote, which is why I fully counter refunded your 0.4, which was supposed to be 0.3. Then I bid another time, with 0.3, but because the bidders from the previous round got their surprise votes too, I got a 50% instead of a 100%, which is why I asked for a 50% refund. Then, the bot fell again, and I did not ask for a refund due to it, because I assumed it may end as before, and I did get a 100% vote on it eventually. The 0.15 was not for inconvenience, and in fact the other bidders owe you money, and not me. Between you and me, we are settled. Checked and refunded - sorry for the inconvenience! You got a 26.63% upvote from @luckyvotes courtesy of @stimialiti! You got a 18.18% upvote from @sleeplesswhale courtesy of @stimialiti! Are you wittingly and willingly participating in a collusion to steal people's money? Still waiting for your response about a 0.1 SBD that your yabapmatt controlled bot transferred to anyx's steemcleaners. This comment has received a 100.00 % upvote from @steemdiffuser thanks to: @atempt. You got a 58.15% upvote from @sleeplesswhale courtesy of @stimialiti! You got a 33.33% upvote from @whalecreator courtesy of @atempt! 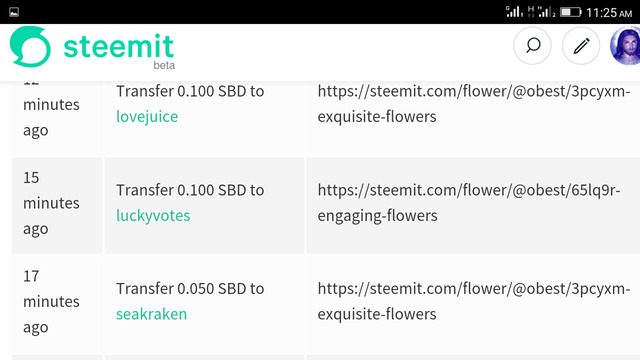 Delegate your Steem Power to earn 100% payouts. hey, Whats wrong !!!! i give fistly 0.6 but you can't to receive that or refunfd that.But mine later many person's memo received. Please refund me. May be its a cheater bot. I will check out and get back to you as soon as steemit is working properly. Now it is getting slow again. Thanks for your patience. Please return the money. Thank you. Some time ago i sent you 0.100 SBD but i have not received upvote from you and I Checked Steembottracker and my name is not found in your list. Please check it again and Upvote me or refund. Upvote will depend on the total bids received. Probably there were a lot of you sending in bids in that round. but you gave me $ 0.05 upvotе. The bot shares its upvote value (which is currently app. 0.22 SBD) between the ones sending in bid in each round. In your round there was your 0.1 steem, and two more bids (0.107 SBD and 0.107 steem) sent in. So that's why your upvote value was not bigger. 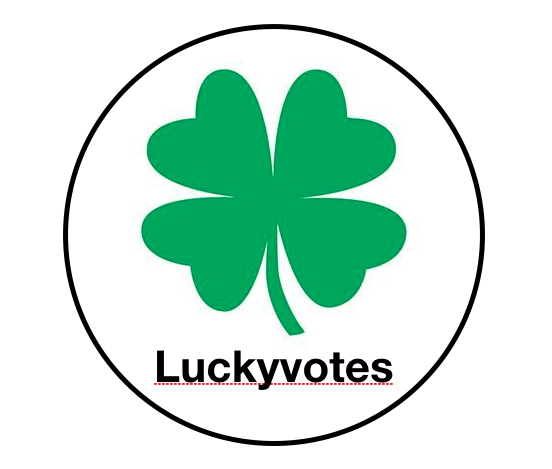 Thank you @luckyvotes I will no longer use your services! sent 0.2 sbd but you didn't upvote this post.